This loan helps as an emergency loan to buy farm inputs such as seeds and fertilizer and help a mom as we gear up to celebrate international women's day. International women’s day is here with us! Janeth is a smallholder farmer based in Litein, Kenya, which is a town near the famous Rift Valley (a major tourist attraction site in Africa). She and her husband are blessed with beautiful children. For many years, Janeth has been a farmer. 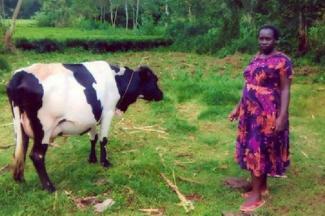 She keeps dairy, grows maize and other crops. Janeth also engages in small businesses on the side whenever an opportunity crosses her path. 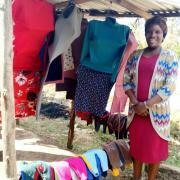 Despite the fluctuation in prices in the Litein market, she is very passionate and optimistic about the future of farming in Litein. In the modern world, agriculture has become exceedingly dynamic. Therefore, the kind of inputs that are being used in the sector today have changed and there is a need to use improved inputs for effective production. These inputs include high quality seeds, fertilizer, pesticides, and herbicides. 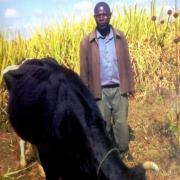 Janeth is requesting an emergency loan to buy quality farm inputs. Her loan will help her meet the increasing demand for food in the market and in the process generate more income to repay her loan debt and improve her family's quality of life. She also hopes to improve the conditions of her house. 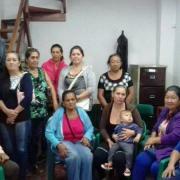 Janeth, her hubby, and her children highly rely on the goodwill of lenders to achieve their dreams. Take action and lend now!